Hello and welcome to another version of “techarx tech report”, where we check out an up and coming product and give a quick review on it. 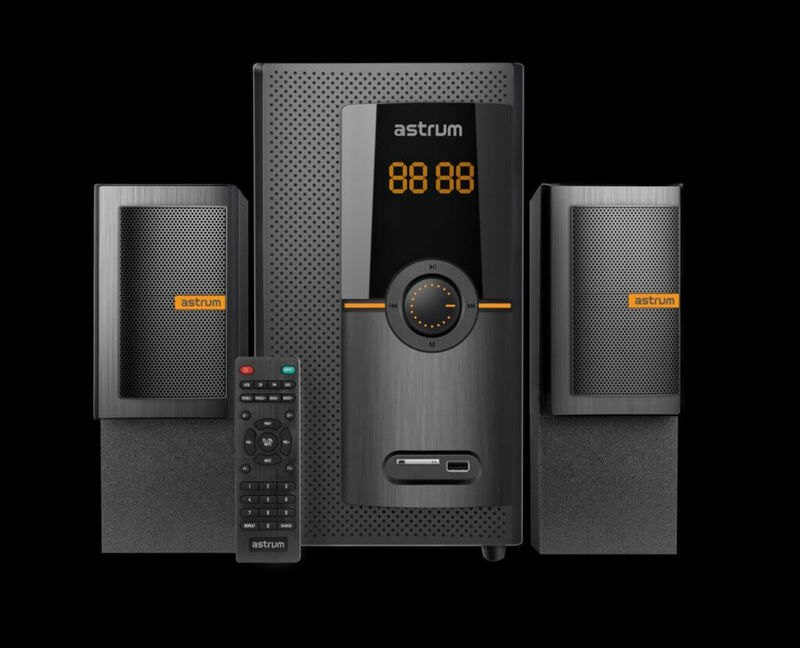 Astrum holding is a company located and formed in HongKong in 2006. The company mainly focuses on new technologies in the field of consumer electronics to enable people to have a better lifestyle. 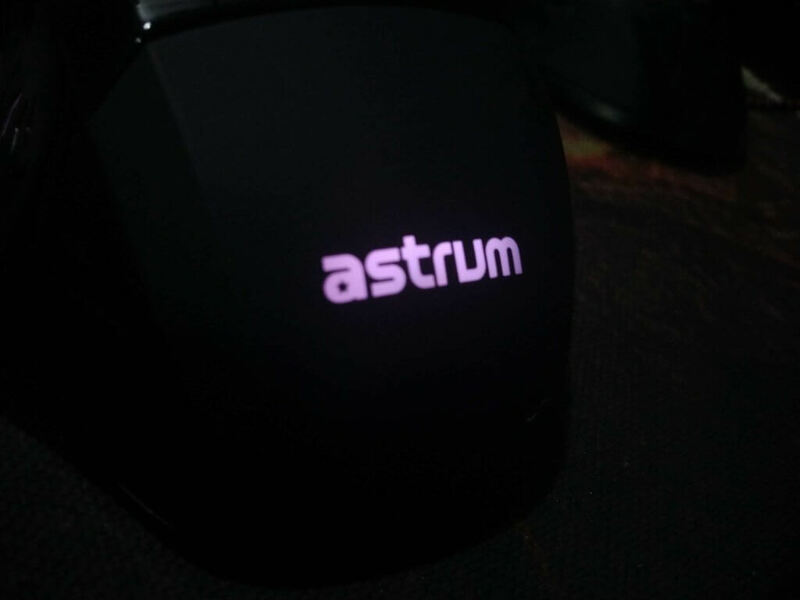 Astrum usually stays strictly within the mainstream peripherals niche and as such, they already have a strong portfolio. It was only recently they made a push into the gaming market and came up with a few products to test the waters. 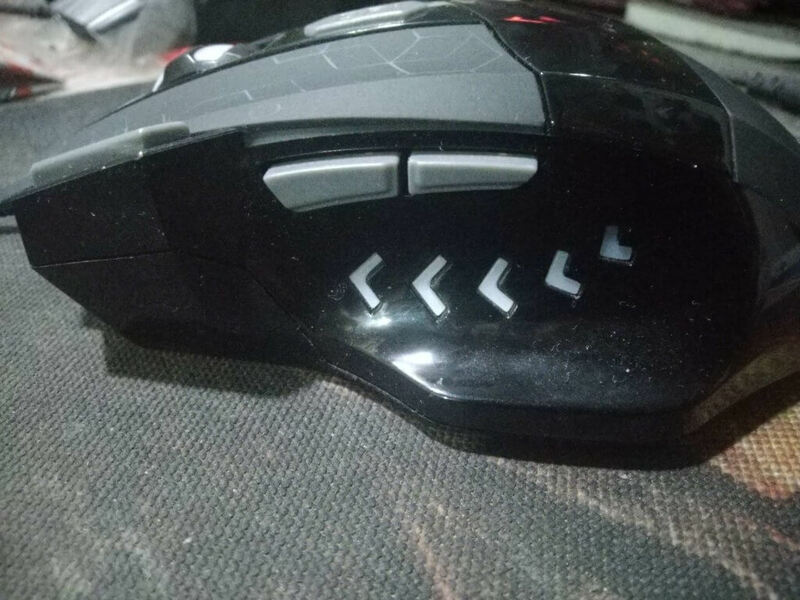 The MG 300 mouse we have today for review is focused on gamers who just made the entry into the gaming mouse niche or doesn’t want to pay too much. 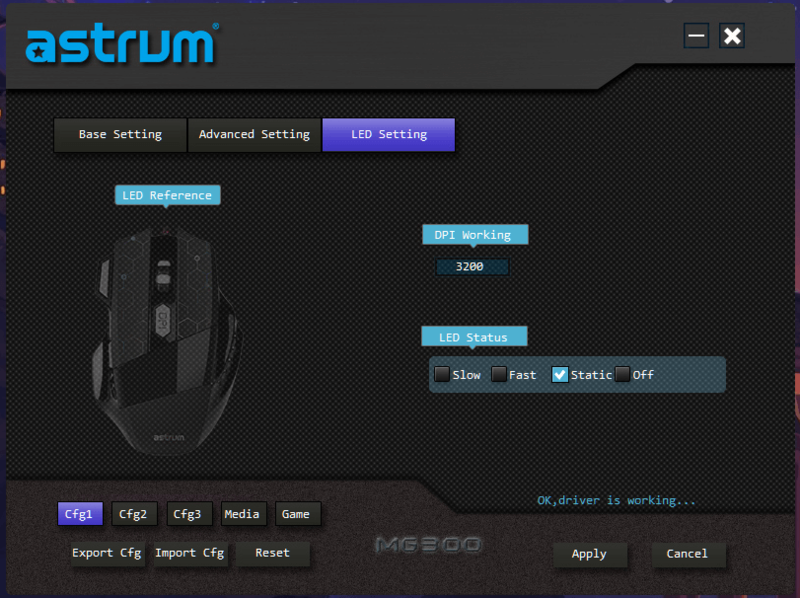 The Astrum MG300 is a claw grip mouse much like the Logitech G402. Build quality is decent. 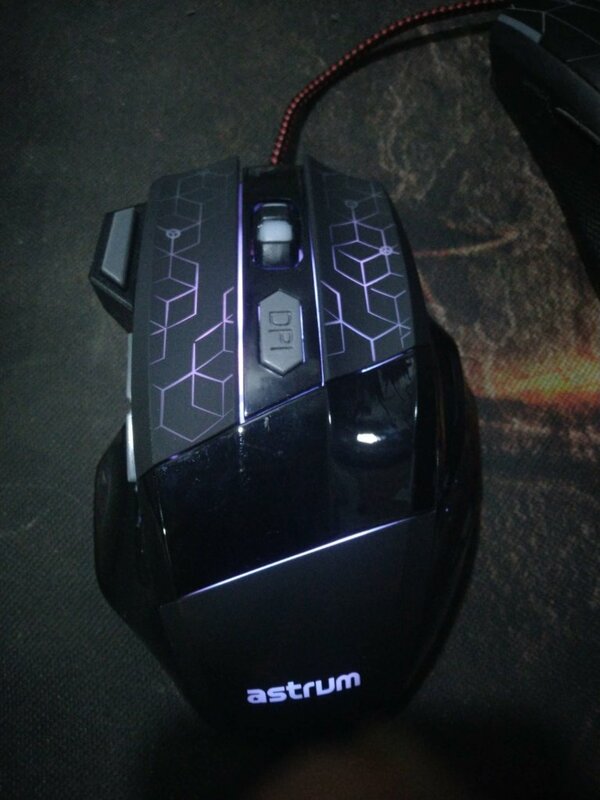 It ticks all the right boxes one would expect from a sub 1K gaming mouse however I feel Astrum could have done better by forgoing the extra three buttons and focusing more on the feel of the mouse. The fire button on the edge of right click button takes a bit too much effort to reach in high strung moments while gaming and might stay unused (at least it did for me). Overall it’s a bit too big for my taste since I prefer a palm grip. But otherwise, it’s a pretty decent mouse for the price. The RGB on other hand is pretty disappointing and I think some improvements should be made since its a well-advertised feature. The MG 300 performs very similarly to the Dragonwar ELE G9 Thor mouse in our testing, so we believe Astrum used the same sensor (Avago i5050G) into the MG300 as well. 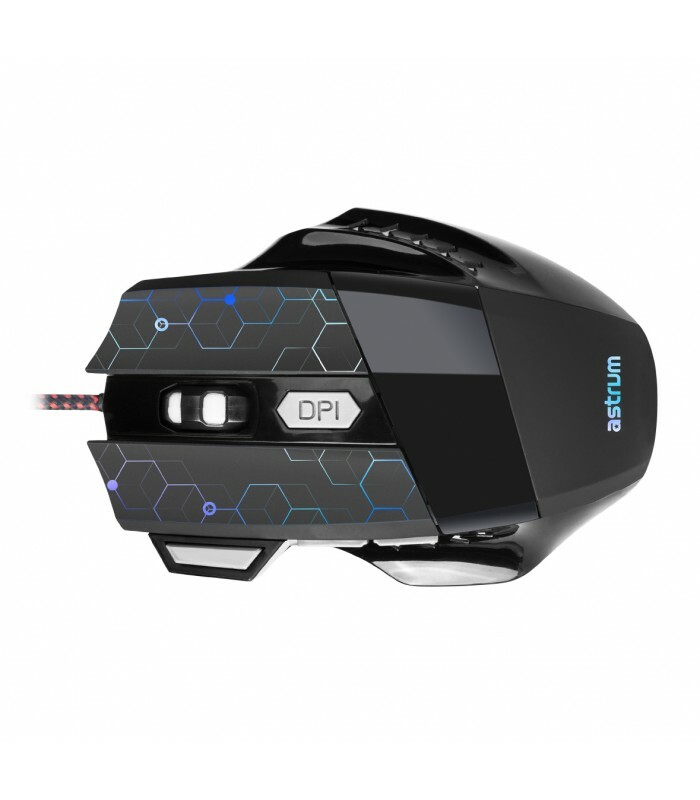 The mouse offers 5 DPI options from 1200 to 3200 dpi. 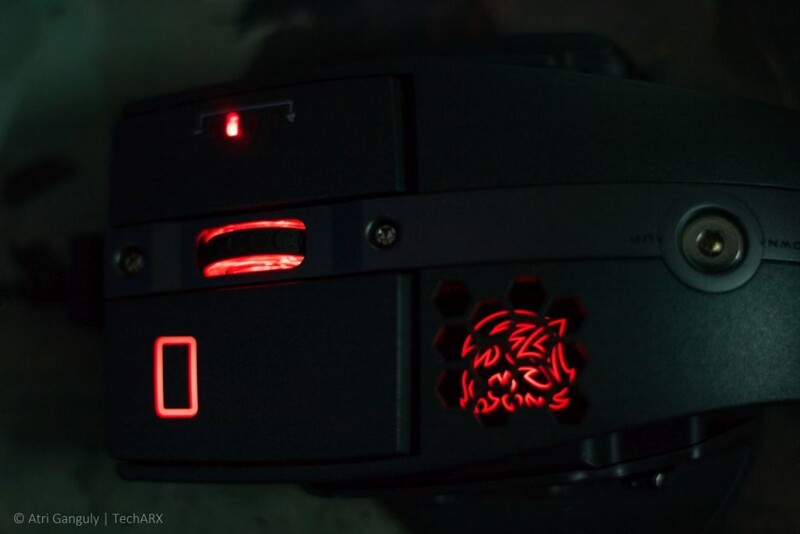 The mouse itself can store up to 4 different values which can be modified from the software itself. In short, it performs well for a sub 1K mouse but do not expect too much from the MG300. 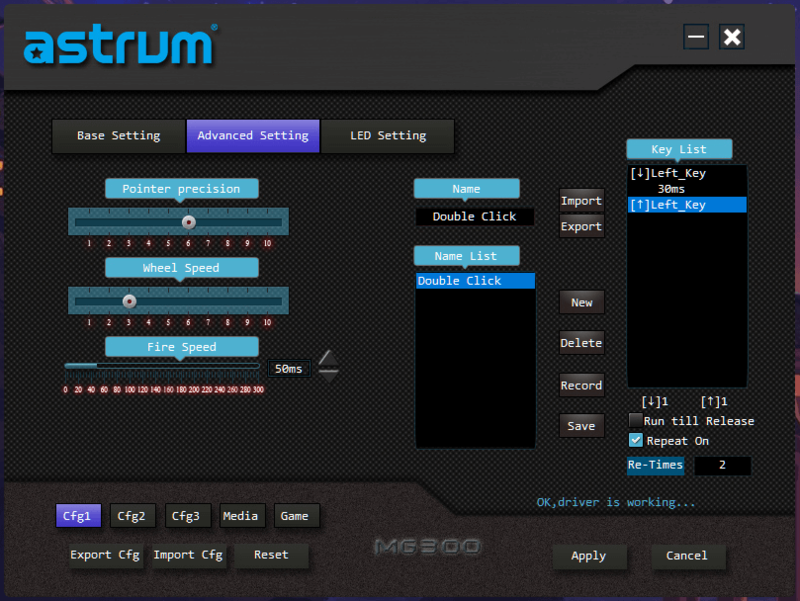 The driver software can be downloaded from the Astrum website. While the software is not the best out there, it performs decently. The software consists of three tabs: Base, advanced and LED Settings. The first tab consists of basic settings like dpi switcher and button remapping. Option to save three users configured configs and two more names ‘game’ and ‘media’ are also present. The second tab contains some more advanced setting like pointer precision, wheel speed, and macro recording. 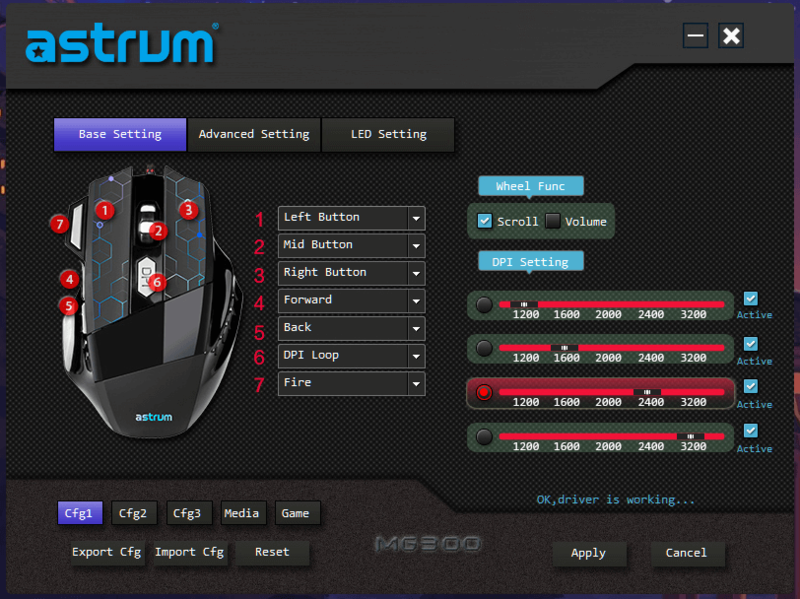 The MG300 is one of the first products from Astrum into the gaming niche. As such one shouldn’t be too hard on them for not producing the right product off the bat. However, the MG300 suffers the same problem as any other player in the same niche and that is doing too many things at once. 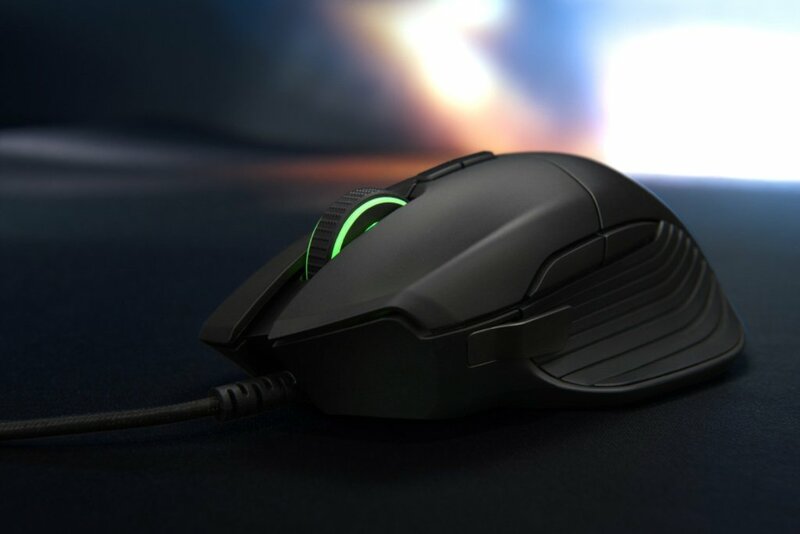 The mouse while has a very decent sensor and feel, it lacks in driver support and a very buggy software experience. My suggestion to the design team would be to fine tune the software experience and maybe lose a few keys like the fire button. 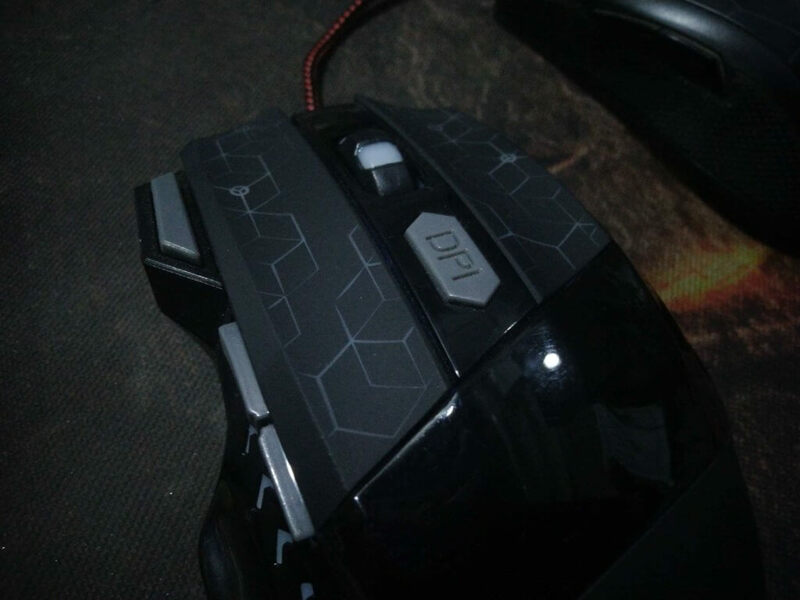 Otherwise a pretty decent mouse for the money but we cannot give it a medal this time but can definitely recommend to anyone who is looking at a strict sub 1K budget.